Editor’s note: This article was originally published in advance of the 2016 race weekend, but most of the information contained herein applies to the 2017 race weekend as well. Please check your official race guide for specific questions and feel free to write to us with any questions you may have. Check out our Top 5 Tips for the 2017 runDisney Princess Half Marathon & Glass Slipper Challenge Weekend! 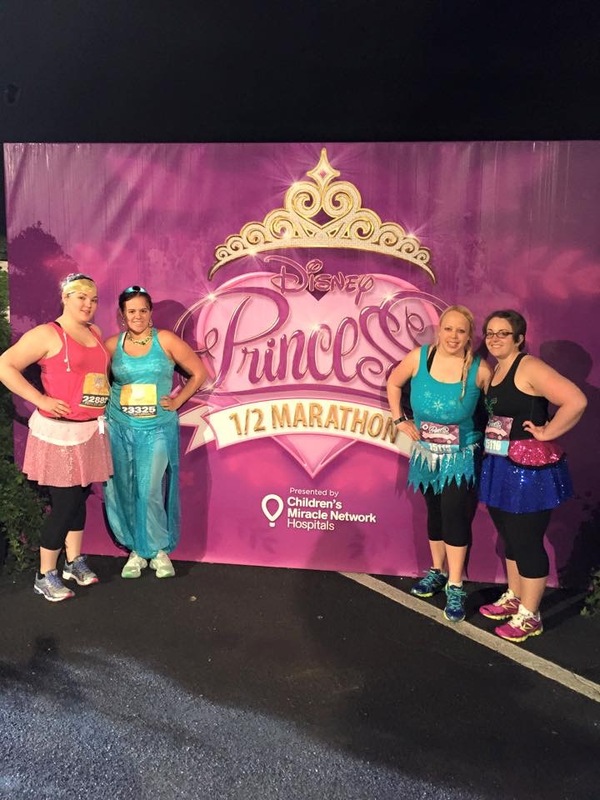 The Casual Runner Team will not be attending RunDisney’s Princess Half Marathon weekend this year (I know, we will all be suffering from serious cases of FOMO), but for people who have never ran this weekend before we wanted to share our tips for the weekend. 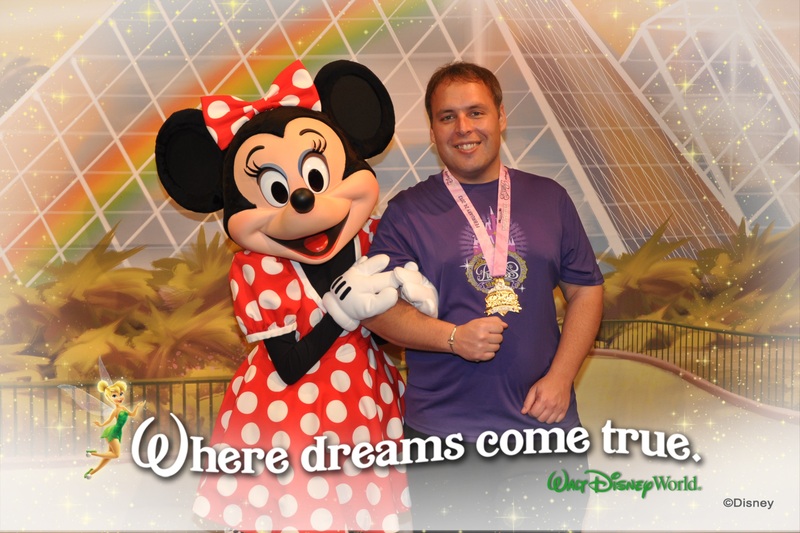 As you read this please keep in mind that this is based on what I have experienced running the 2013 Princess Half Marathon, the 2014 Glass Slipper Challenge Challenge, and the 2015 Frozen 5K and Glass Slipper Challenge. What is the Glass Slipper Challenge? The Glass Slipper Challenge Medal will be awarded to those runners who successfully complete both the 2016 Enchanted 10k and 2016 Princess Half Marathon. I know some of you reading this are already at Walt Disney World, but for those of you who aren’t, make sure you have everything ready to go before you leave home. 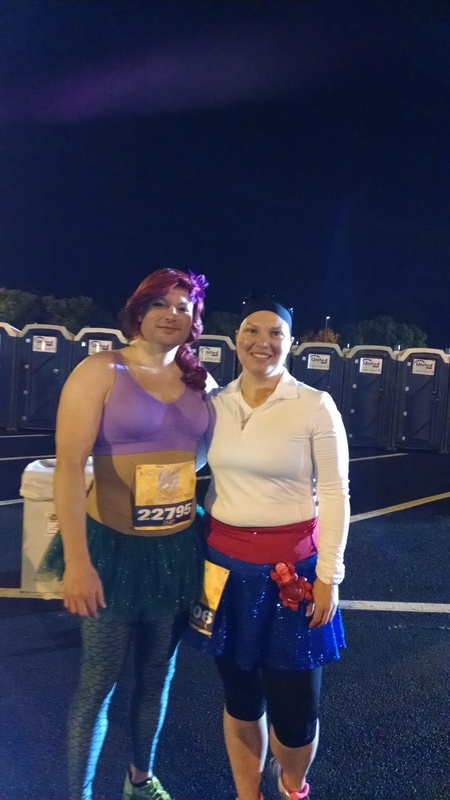 Depending on how many races you are running make sure you have everything ready to go for your outfits: tops, bottoms (tutus and running skirts included), undergarments, socks, running shoes and all princess accessories! Speaking from personal experience it’s always best to pack an extra running outfit in case something goes wrong. Maybe even pack that extra outfit in your carry on if you are flying. If you are running multiple races it is a good idea to bring extra shoes as well in case it rains (yes it rains at Disney, Disney does not control the weather, as many seem to believe, ahem, anyone remember the 2014 Splash & Dash and the 2015 Wine & Dine??). If rains, your shoes may not dry out before your next race, and no one likes starting off a race in wet shoes. Other “must haves” whiles running include headphones, music playing device, charger for music playing device, GPS running device, charger for your GPS, ponytail holders (yes multiple, they break easily), and a running belt or something to hold all of your energy food/music playing device. You may have noticed I left off a water bottle. If it makes you comfortable to run with water, then definitely bring one, but runDisney does an amazing job of placing water and sport drink along the course. I won’t bore you of telling you what to pack for the rest of your vacation but I will leave you with two pieces of advice for that. First: comfortable shoes to wear to the parks. Second: non chaffing bottoms. We HATE the chafe. While we have an entire article with tips for Surviving a RunDisney expo, I wanted to share some Princess-specific ones. The Fit for a Princess Expo begins on Thursday morning and goes thru early Saturday evening at the ESPN Wide World of Sports Complex. From past experience, runDisney expos tend to be the most busy the first day of the expo. However if you want official race merchandise I suggest that you make it to the expo on the first day preferably at opening. Also another tip for getting official race merchandise is to go to the Josten’s Center before you go to the HP Fieldhouse to pick up your bib. Your bib will be there no matter when you go, the merchandise may not. The only people that absolutely have to go to the expo on Thursday are the 5K runners. That being said Friday all 10K and Glass Slipper Challenge runners have to go. Saturday will have the lowest crowd levels because the only people left to pick up bibs that day are the remaining Half Marathon runners. You should never run race a race without trying out your race gear before. It can be very tempting to buy new things at the expo to wear for the race, but I advise you not do this. That being said, if you’ve ran in something before, you can always get a new version. I like to check out the Sweaty Band booth to see if I can find a new one to run in for the race or just for training runs at home. I also tend to stock up on gels when I’m at the expo at the Fit 2 Run booth. Another great booth to check out is Raw Threads, especially during Princess weekend. They have great Disney inspired running clothes, but as I usually have my outfits planned out before I head down to Florida I search for future running outfit ideas. Take the time and check out the booths. Some booths give out samples and freebies, so its a great time to taste test running gels, blocks, and energy bars. Or maybe you want to find a cool way to display your SMOs there are multiple booths there selling racks and frames to do so. Just have fun, this is all part of enjoying the weekend. Wondering what you should check out at the expo? My first priority at every runDisney expo is to head on over to the New Balance booth so I can check in to collect points on the MyNB app. In case you’re not familiar with this program you can collect points on the app to get rewards such as, RunDisney race bibs! (Yes this is amazing, go ahead go sign up… just don’t forget to come back and finish reading this article!) 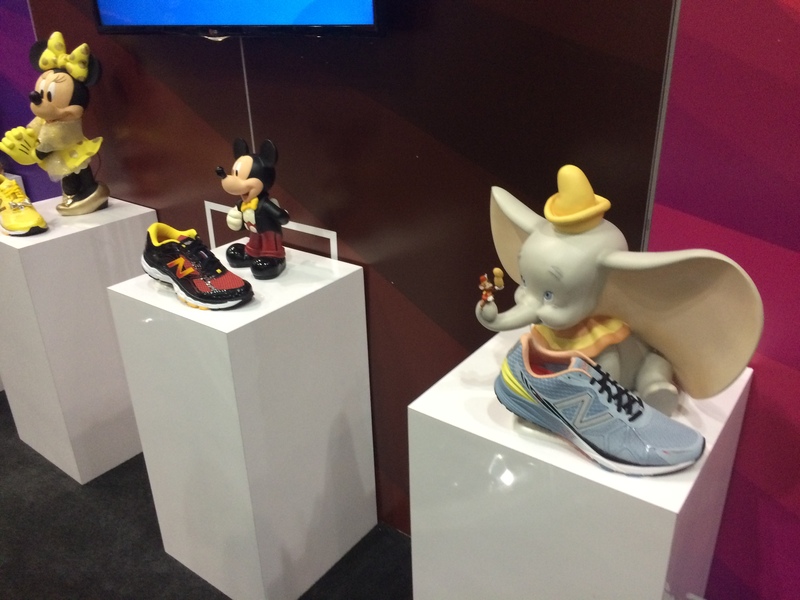 I also enjoy perusing their booth to check out the RunDisney shoes. However, if you want to get your hands on these shoes you need to sign up for a virtual spot in line the day before you go. Note: these tips focus on the Half Marathon course. If you would like more information on the Enchanted 10k, please click here. 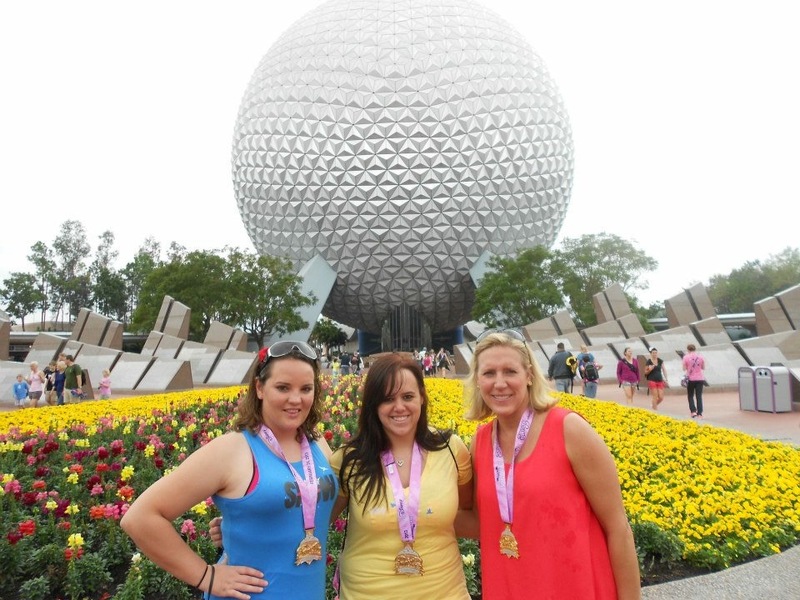 Have you ever run the Donald Duck Half Marathon during runDisney’s WDW Marathon Weekend? If you answered “yes,” then good news for you, you already ran this course before. If you answered “no,” then you’re in luck, we’ll give you a quick breakdown of the course. Want to know even more about the course? Make sure you check out the reviews from the 2013 half marathon and the 2015 half marathon. You start on Epcot Center Drive near Port Orleans and the back of the Epcot Parking lot. Mile 1 marker will be on Epcot Center Drive and you will continue on until you take the exit ramp onto World Wide Drive toward the Mile 2 marker. During this stretch, begin to keep your eyes open for the leader of the race coming back the other way – it really is a magical moment on the course. I ran this course the past three years and the characters during the stretch of this course included the Pirates of the Caribbean and Disney’s Princes. As you head down World Drive you will pass through the Magic Kingdom toll booths and come up on the Mile 3 marker. Its time to cross over the 5K marker, which is also the first timing mat that will let your family and friends know where you are if you sign up for runner tracking. 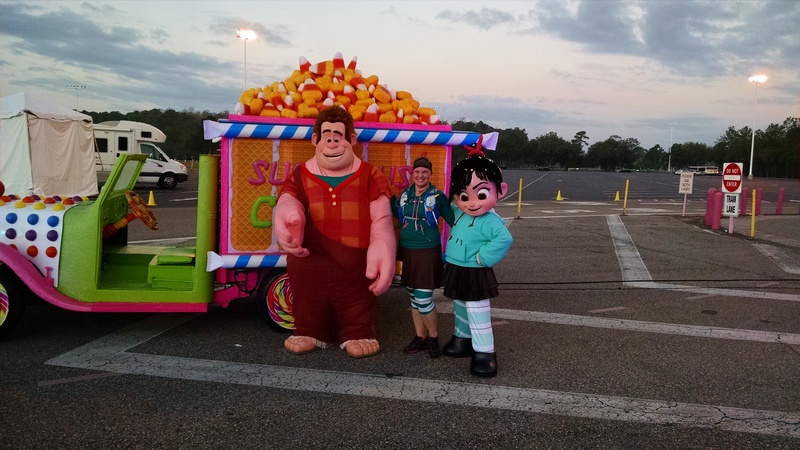 You may notice something missing at this point… the speedway is no longer to your left, but just up ahead you may see Wreck it Ralph and Venolope as you’re running through the Magic Kingdom parking lot, as this is one of their favorite spots. As you come up on Mile Marker 4 you are now at Transportation and Ticket Center. This is also your first chance to use a bathroom that is not a port a pot! The crowd support here is also usually pretty amazing. It’s finally time to make your way to Magic Kingdom. You are probably used to hoping aboard a ferry or monorail at this point, but that would be cheating… so time to head by foot, which means running past the Contemporary Resort and Bay Lake Tower. On this stretch to the Mile 5 marker you will come up to your first “hill.” You will head down hill under a water bridge where a DJ is cheering you on with Giant Mickey hands, then you will head directly back up the hill and the 5 Mile marker will be within your sites. After going through the castle you will turn right toward Liberty Square and Frontierland. However if you want a picture in front of the castle you will have to go left. In Frontierland you will pass the Mile 6 Marker. You will leave Magic Kingdom by exiting to the left of Splash Mountain and crossing over the train tracks. You will then be backstage to see things that not everyone gets to see at Magic Kingdom. Typically a float from the parade is set up with a princess to stop for a photo op! Unfortunately it is now time to head onto the most boring part of the course in my opinion. There is usually some excitement at the halfway marker with a song to inspire you to keep going on. In past years they have played Kelley Clarkson’s “Stonger” and the ever popular “Let it Go.” The Mile 7 marker will be at the Grand Floridian which also tends to have Mary Poppins for a photo op. You will continue on Floridian way past the Golf Course and come up on the Mile 8 marker. Shortly after Mile 8 Cliff Shots will be handed out to the runners. The Mile 9 marker will be right before heading back on to World Drive. The next/last timing marker you will cross over is at the 15K spot. Shortly after Mile 10 you will begin to start your climb up the exit to put you back onto Epcot Center Drive. After your climb you may come upon the Army Men from Toy Story who will try to motivate you by making you do pushups! At this point make sure to look over the bridge to see all the people still coming towards you. It will really give you a second wind! On this stretch you will go past the Mile 11 marker before you make the turn to head toward Epcot. The Mile 12 marker will be right before you head into Epcot at the backstage entrance by Nemo and Friends. Once inside Epcot you will head toward Spaceship Earth then run down to the entrance of World Showcase where you will loop around to come back toward Spaceship Earth. You will take a right at Spaceship Earth and head backstage to get you to the finish line. Once you past the Mile 13 marker you only have 0.10 miles left, finish fast and don’t forget to smile!!!! After crossing the finish line make sure you collect your medal! Then a first-aid tent is available if needed, if not time to collect your goodies. The past two years they handed out mesh drawstring bags to collect your goodies. You’ll get your water and Powerade. Time to stop for a finisher photo! It is important that if you earned your Glass Slipper Challenge or Coast to Coast medal you head through the appropriate tent to do so. Volunteers will verify your bib with the photo you took at the expo for the Glass Slipper Challenge or your wristband for the Coast to Coast medal. We hope you all have a magical race weekend! We have even more great articles to get you ready to run during Princess Weekend! 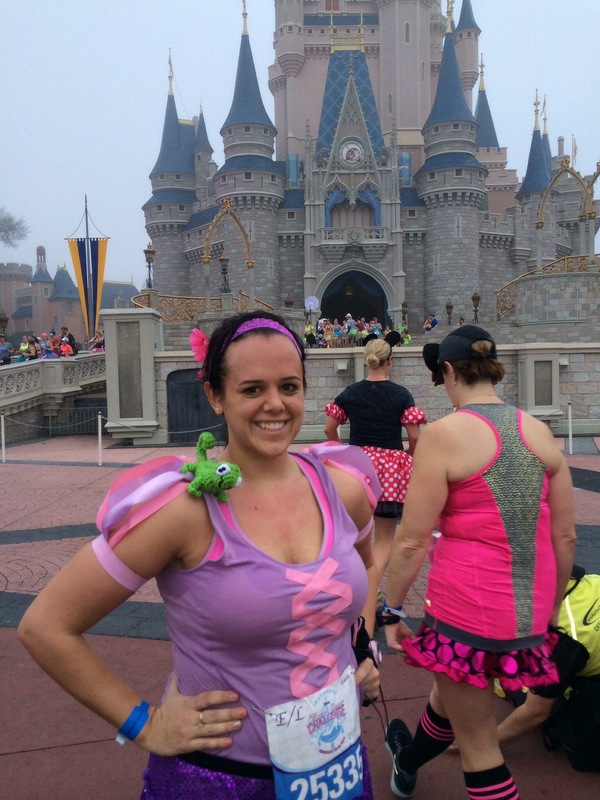 Glass Slipper Challenge & Princess Half Marathon Preview & Tips.